Imogen's Typewriter. 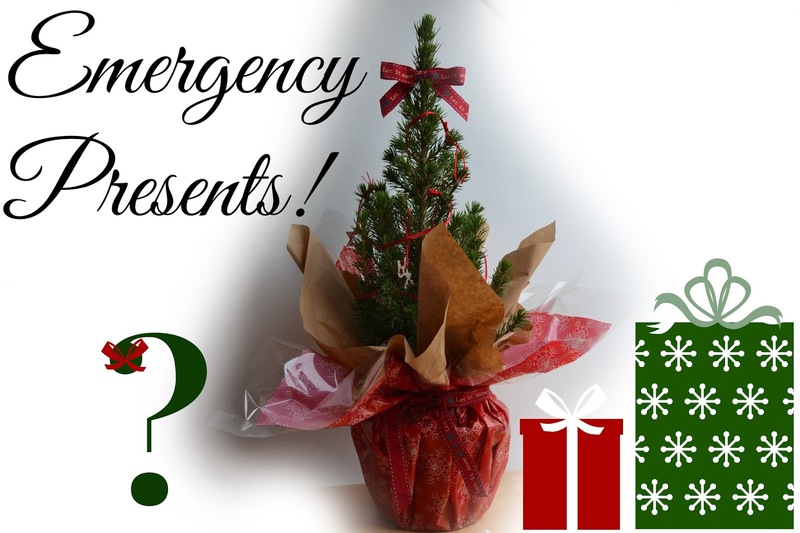 : Blogmas Day 17: Emergency Presents! Let me set the scene, you’re relaxing at home after school or work, any last minute gifts have been planned out and you’re going to brave the shopping center on Saturday, and you get the call. You know the call. The call from the last person you expected to get a call from and they’ll be round in ten minutes, half an hour, and hour, two hours with your thoughtful and beautifully wrapped gift. And what have you got them? Nothing. Your heart drops, you wonder if you could just lock the door, close the curtains and hide upstairs but they know you’re in and you’ve got to scrounge something up in record time. These are my tips! I'm afraid you might have to swallow your pride and apologise for not finishing your Christmas shopping yet. Make plans to meet up with them soon and bring it then. Or ask yourself if you’ve got any back-ups. Personally, if I went into the back of my make-up drawer I've got a lipgloss and a lip balm, both of which could be wrapped up and given as a gift without anyone being any the wiser. The same works for presents for other people, if you can buy another one just switch the name tags. And if they're over 18, or 21 in America, then a bottle of wine can always be replaced before Christmas Day. I personally love the cute little baking mix in a jar presents, these cookie ones look particularly good and these brownie ones but you can google and find a load of recipes. That way you have something to give them and it's something that'll remind them of you when they bake them and eat them. That is, if you have a kitchen that is well stocked. The cookie or brownie mix in a jar is still a great option, but in an hour you could probably bake them some. If I was given a cutely wrapped box of brownies I would be all over that. A homemade body scrub never goes amiss in the winter either, Treehugger has 8 recipes here all of which sound lovely but for mine I just mixed and mashed up whatever I felt like. I'll do a post on it soon because I love it and it's so much cheaper than buying one. You’re one of the lucky ones, you have time to pop to the shops and pick out something. I recommend getting yourself to Boots and going straight to the gift aisle. They’ve really outdone themselves this year and you can grab two stocking fillers as part of their 3 for 2 deal. All I can say is- Good Luck. And there’s still time to drop to the floor and army crawl away if you hear their footsteps coming up the path. What do you do for Emergency Presents?